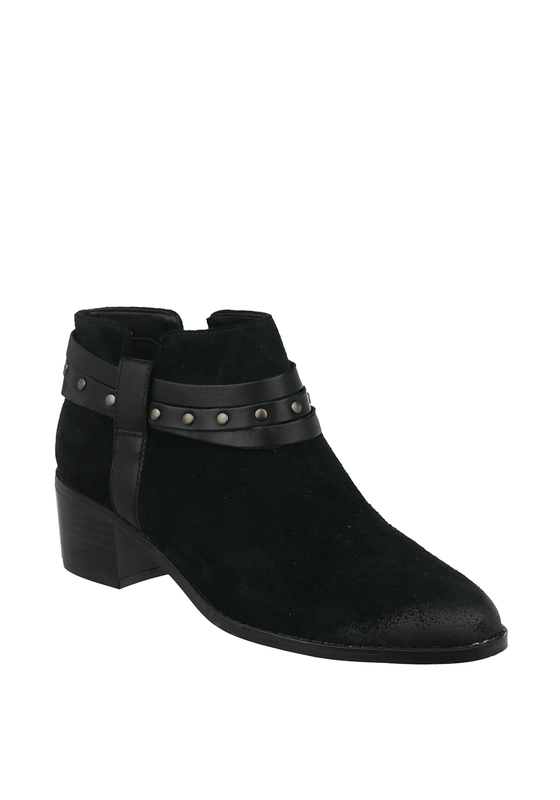 Step out in new season style with the Breccan Shine ankle boots from Clarks in their stunning black butter soft suede. Featured with black studded ankle strap detailing, this fab pair are styled with a soft pointed toe, have a shiny wooden chunky block heel and a cushioned insole. 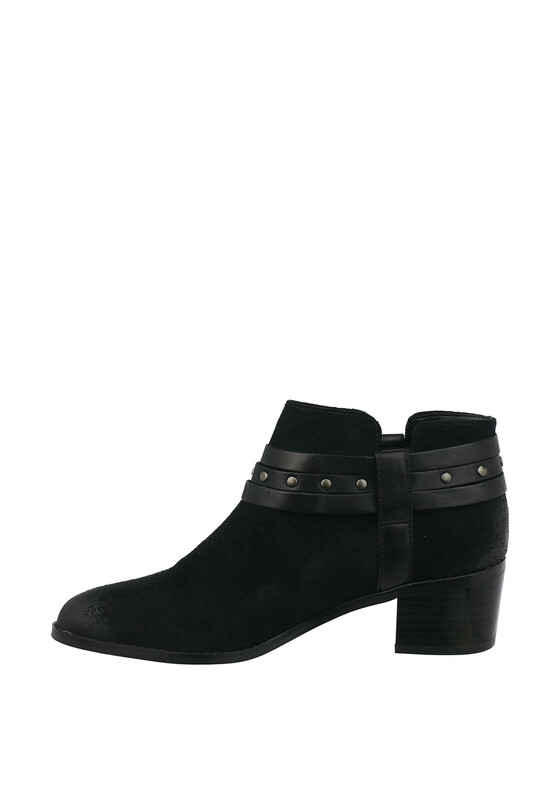 Rock these with skinny jeans and a blouse for a fashionista style.